Huawei is one of the world's largest smartphone manufacturers, but the company doesn't have much of a footprint in the United States. It hoped to change that by selling the Mate 10 Pro with U.S. carriers, but the day before the news was going to be announced, AT&T pulled out of the deal due to government pressure. According to The Information, the U.S. Senate and House intelligence committees alleged that Huawei was a security threat, and expressed concern that the company was about to work with the country's carriers. Rumors began to circulate that Verizon would pull out of the deal as well, and a new report from Bloomberg has confirmed it. One of our sources has also corroborated the report. According to Bloomberg, Verizon has dropped all plans to sell phones by Huawei, including the new Mate 10 Pro. Just as The Information previously reported, growing government pressure was the key factor. Huawei and Verizon declined to comment on the story. This effectively marks the end, at least for now, of Huawei's efforts to enter the mainstream US market. 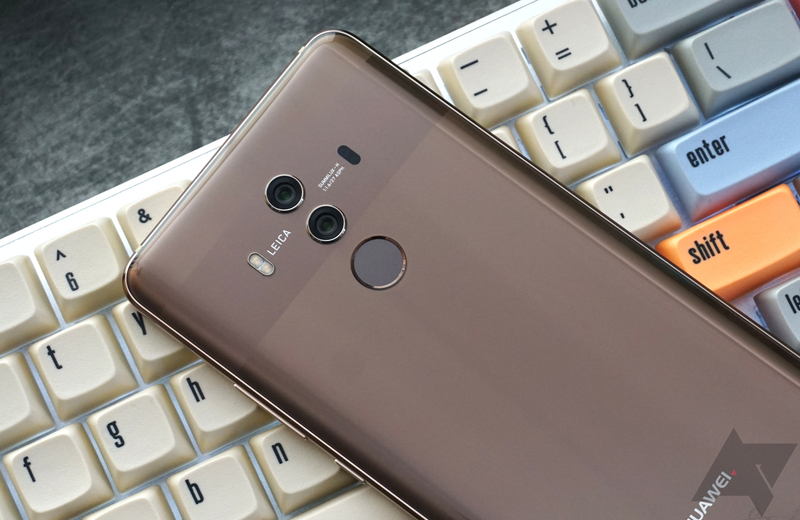 While the Mate 10 Pro can still be purchased unlocked in the country, carrier sales are by far the most common way for consumers to buy phones in the United States. Alternate title: Report: Verizon "a bunch of wusses"